Today we tackle the hype around soundcloud.com as a podcasting solution and compare it to some of the other top podcast media solutions that have been around. I apply my criteria, and see who makes it, and share my opinion on why some of them still make me nervous. Note: For the record you can get a free month at blubrry.com or Libsyn.com using the coupon code sopfree you will see that even though using those codes benefits me financially, those companies don't always finish on top. Here is a print version of this article with a few more screen shots. If you'd like to see more screen shots here is a PDF of this article. 1. Don't mess with my file. What I upload is what I want people to download. 4. Don't control my feed, and make it easy to leave if I choose to do so. I need to be able to put in an iTunes redirect script. 7. Give me stats so I can see what's working. It would be nice if they were accurate. Honorable mention: If I use your RSS feed, I need to be able to insert a redirect if I decide to leave your service. Amazon S3. No stats, and your start cheap, but get really expensive if I get popular. (my last bill was over $40). Buzzsprout.com – You change my file, and I have to ask to leave. Spreaker.com – You mess with my ID3 tags, and there is no way to leave. UPDATE: The file does not change when you download the file from soundcloud. HOWEVER, the file they put into the RSS feed has been renamed. PLUS, if you are a podcaster you have to go to your RSS feed, look at the code (have fun with that) and dig out the mp3 file to put into the Powerpress player on your site (I know, why not just use their player). But in three years, the best solution you have is to dig through the feed? UPDATE 2: Soundcloud change the URL of all the files to some podcasters leaving all of their episodes non-playable. They also lost 29 million dollars last year. UPDATE 3: After losing 29 million dollars the previous year, Soundcloud lost an additional $4 million the year after that. I tried to get the hosts to line up in a fashion that we could compare apples to apples. It's not easy. For the most part I chose the price point closest to $20. Here is what I found. Note: If you want stats that provide details of where your downloads are coming from (countries) you need to have the $79 a month plan for 1.5 gigabytes of storage (which is overkill in 99% of the cases). With this in mind, I am taking podbean out of most of this discussion. For me, I typically recommend the Libsyn.com account for $20. You get more than enough space and the ability to get a smart phone app. You also get deluxe stats. 1. Soundcloud wins this one hands down. Reason? It's just cool. Does everything but play in a new window. 2. Blubrry Powerpress plugin provides the ability to stream, play in new window, or download. My choice: I use the blubrry powerpress plugin to put a player on my site (you can use this even if you're not using Blubrry for hosting). Why not Soundcloud? Because soundcloud stats are not integrated with Libsyn or blubrry like Stitcher stats (hello Soundcloud if you're going to be in this space you better meet your neighbors). This means using soundcloud and another host will require you to check your stats in more than one place. At this point I'm getting negligible plays from the soundcloud website. My favorite player for putting in a sidebar is the one from the Blubrry network (free). 1. Blubrry.com – great content, pretty, and easy to understand and exportable. Blubrry.com offers free stats that show downloads and a few other items. 2. Libsyn.com – very similar to blubrry.com (each shows some items the other does not) and exportable. If you're not using the $20 a month plan you get a download numbers only stats. 3. 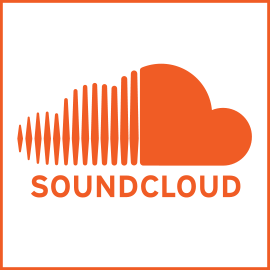 Soundcloud – Basic stats with some geographic location. 4. Podean.com – as mentioned earlier their stats are pitiful (download only, and can only be viewed one episode at a time) unless you ‘re using the $79/month. Soundcloud's player is one of the coolest things on the planet. It makes your content easy to share, it works everywhere you can add a button to the player (for purchasing something, itunes, etc). The one thing it doesn't do is offer the ability to play in a new window. Blubrry's key is ease of publishing. Once your audio file is done, you can enter your show notes (blog post) and when you upload the file it will take the title of your post and add it to the mp3 file in the ID3 tags. It will also “tag” the other fields in your file. You do all of this from within the blubrry interface. If you have $20 a month plan or higher, you can get a smartphone app for your podcast for free. You can charge people for this, or you can spend a little money to get an Apple developer's license and give it away for free (you do need to pay an $10 a month to libsyn as they will provide the customer support for the app). Libsyn also offers the ability to sell your back catalog. Top podcasters Marc Maron, Adam Corolla and others use this tool which you can find here. Libsyn stats have a cool feature that allow you to double click on a day and see what files were downloaded. This is interesting as you will see your latest episodes and you will also see you back catalog being downloaded. For $79 a month, you can manage your mailing list through podbean (or you can use a tool like Awber designed to handle mailing lists). What's the limitation of their free account? You can only upload a certain amount of files. When I first played with them, I would have to delete a file to upload a new one. While Libsyn and Blubrry have representatives in all of the podcasting communities. They are at our conventions. We know them by name. Todd, Mike, Angelo, Rob, Elsie, Krystal. Podbean and Soundcloud have no presence that I've seen. They have their websites and pretty much that's it. Why would you not list your address unless you don't want to be found? 5 million official SoundCloud apps have been downloaded. In 20012 they celebrated 10 million sound creators. according to crunch base they've receive 123 million. In 2014 they received 60 million. Yet their podcasting tools are in beta, and you have to request to be in it. Why is this still in beta after three years (it launched in January of 2011)? I am using them as an additional distribution point to see if I get any traction over there. In reality, like any other platform, you get out of it what you put into it. Thanks to Neil, “You were wrong Dave” Smith of undercountryradio.com for sharing his pain. The one thing that has me thinking is the Soundcloud offering. I’m _almost_ interested in using them _just_ for media hosting, but I’ve also had some SC problems with some of my clients. Like invalid media URLs and worse. Of all the things you said, one bit had me scratching my head a little. The comments on not being able to play the Soundcloud audio in a new window. Tabbed browsing has been around for some years now. Don’t want to leave the page playing the audio, just open a new tab. As for everything else. I totally agree. I went down the Archive.org then BuzzSprout route when setting up – I very quickly realised my error and moved over to Libsyn. For me using SoundCloud would be like asking a car electrician to rewire your house (having purchased a house where the previous owner did just that, I know what a disaster it can be). I agree with you when it comes to SoundCloud. They need to get their podcasting service out of beta and they need to get into the community, already. Have you heard the latest episode of “Smart Passive Income” (where Pat interviews Tim Ferris)? Pat mentioned that he uses Soundcloud for his “Ask Pat” podcast, because the episodes are only around five minutes. He likes that you can embed the player and play it directly from a social media platform. I was thinking about doing the same type of thing. What do you think? Would I have to launch an entirely new podcast with a new website and RSS feed? If its a new podcast you can create a new site (or not). If you switch media hosts, you don’t need to change a thing, but you take out the old media link (say to blubrry) and replace it with the link of the new media host. I have been thinking about using soundcloud. This has been very helpful. I use libsyn they r great. Any time I have a question Rob is on it. My thought was to keep blubrry for my regular episodes, and use Soundcloud for short bits. I am thinking/hoping I can do something on Soundcloud without even using the RSS feed. After all, if I were to put a song up using Soundcloud I wouldn’t need to do it using an RSS…right? I suppose using it this way would mean that my “shorts” would not go to iTunes, etc., but I might just be able to publish them via social media. They changed things since I first published this and now you have to dig into your RSS to find the mp3 (not exactly convienient). If you want it to go to iTunes you would need to get the direct link, and getting that is not easy, and in theory you need to be using their podcast service (or there are some sites that help you dig out the mp3). Maybe blubrry will develop a player like Soundcloud’s. That would solve everything for me. Terry, please email me your thoughts on a new player, cio [at] rawvoice dot com. We can’t simply copy the SoundCloud player, but if you can give me suggestions what elements you like we can try to come up with something. I am pondering this a little more and will email you in the next day or two. Thanks very interesting. Still would not use soundcloud as my MAIN host. So weird that they don’t make this easier. Thanks, Dave. I feel vindicated as you confirmed my research. We are switching from a dreadful service and with a video cast and two audio casts on the way, we need a bigger boat and rolling storage. The enterprise guys just don’t understand the podcast world. You rock! Keep up the fine work! Thanks for sharing with me. This was very insightful. Hey Dave this is the first podcast I’ve listened to from you and it was a ton of great help. I was considering the idea of moving my podcast from Libsyn to SoundCloud but after hearing this episode I have reconsidered my options and and I’m sticking with Libsyn. Thanks for the help in making this decision. coming across this post, and thought I’d ask a few questions that are on my mind. Getting my feed into iTunes, Stitcher, TuneIn and Instacast looks easy enough… just need to add my RSS feed details. What about getting my feed into soundcloud? Would I manually upload my episodes to get them listed? What’s the best way to get my RSS feed broadly listed in RELEVANT podcast platforms/directories? Libsyn and Blubrry offer unlimited bandwidth on MEDIA. HOstgator, Dreamhost, etc all say unlimited bandwidth, but it is a total crap shoot if they ask you to leave when you get popular. Soundcloud is not a directory. If you want your stuff on SOundcloud you upload it one file at a time (have fun with that) and in my travels, they represent 3% of my audience. To get into directories, get some sort of short keys system and submit it to them. I would say iTUnes, Stitcher, Tunin. The rest are up for grabs. Then make great content that makes your audience talk about it. thanks for the answer. For people that are on android devices and want to listen to podcasts, what are their preferred apps? I’ve seen Pocket Casts, BeyondPod, Podcast Addict, Doggcatcher and Player FM. I am asking, because when I search each player’s podcast directory, my podcast isn’t showing up (yet). So having a list of the most preferred podcast apps for android would help me identify which podcast directories my feed needs to be added to. Thanks for this review. I’m really stuck on deciding what media host to use. I’m launching a podcast next week and I wish there was a plan at $10 a month with unlimited bandwidth and 100 mb of uploads. Your post is leaning more towards Libsyn after reading everything. Hi Dave, you’ve helped me out before and very much appreciated! I was just pondering this question as well and for what I need Libsyn is crazy expensive! I do 2, 2 hour live talk shows per week on relationships and sexual issues. I currently use spreaker, though moving over to krykey.com Though wanted to be able to have listeners listen live (which will be through keykey.com (run a total station at 320K 24/7 for $30 per month) add phone app and that’s another $10 per month… cheap and great quality.. Any ways, I was just asking this question so listeners downloading my recorded shows, etc…….soundcloud seems like to best way to go and cost effective.. Though am leery of the difficulty as you said for RSS feeds, etc… I’ll just be using it as a media storage outlet wit htheir tracking too and their player is cool as you noted! Who needs 320K? The more K’s you add the more bandwidth? There are those people who watch every megabyte so they don’t go over their limit. Sounds like you’re spending $40 a month. For $20 a month you can go on Spreaker. Or go mixlr for live streaming ($10ish a month) and spend the other $30 on Libsyn and get your own app on iOs, Android, and Windows. You’re paying for a feature (320K) that’s not a feature (IMHO). Hi Dave! Thanks for you follow up! I have been with spreaker since last June/July, they are good quality, though their customer service is poor and slow. Sound quality is good and I do have my own app through spreaker ($100 per year each for Android and Apple apps) Though spreaker has a very nice app as well. The sound quality with the 320k is incredible, though as you said is that needed? Perhaps not, though nice.. I do a 2 hr live show, twice a week with spreaker using SAM Broadcasting, works great, though it’s $50 per month, not $20 as you stated for what I need. Libsyn would be like $80 per month at least for the hours I need, unless I misread something because the storage limitations of 1500mb, 800 at $50 per month was not enough with 4 hrs per week, 4 or 5 weeks. The Krykey is 24/7 for only $30. I did read your insights into soundcloud as well… Thanks so much! Paying the website host is pretty darn cheap and one time (for the year) and the microphone is reasonable – so that’s fine. Up front costs really seem to exist with the site, microphone and media hosting with the latter being the (I think?) most costly. As such, $20 a month isn’t much, but I’m not sure we’re prepared for a monthly cost at this point. I don’t disagree with the ‘get what you pay for’ thing. if there’s a reasonably sound free option at the get-go….I think that’s the route we want to take. Getting your direct link isn’t easy….BUT someone has posted a workaround that appears to work fine. There’s a limit to the number of files / episodes you can have up there requiring you to remove the old before you can load new ones. – How big of a barrier is this? What’s the limit? Can anyone say….’don’t do it’ or ‘considering the info posted, you’re ok to start with this’? Its not horrible, but why choose a company that requires a “work around.” Libsyn.com is awesome, solid, and a great platform that continues to grow . Is this post outdated about the beta version of soundcloud for podcasting? It is now july 2015 and I signed up recently to host a podcast and the process seemed very straight forward to me. Nothing about being on a list or anything like that. Yes. I need to update. They came out of beta after 3 years (finally). Since this was posted a year ago, Soundcloud now allows everyone to use the podcast feature and podbean has added some features. I wonder how this list would change. For someone who really isn’t worried about tracking my hits on my podcast, would podbean be the best option for the price? Thanks for the great overview! I’m a beginner and hope you can help me with a question. Our podcast uses Podomatic at the moment but are looking to change, probably to Libsyn.com. You write that Podomatic gives you no way to leave – what do you mean by that? Does that mean that I have to create a whole new podcast show on Libsyn and that I won’t be able just to change the rss-feed on iTunes? Since April 2015, Soundcloud are no longer in Beta, and has a free option and two other options with prices. 99Euros a year for unlimited and stats seems like a good price to me. What is your assesment of them now ? I am currenlty using them for a work podcast, but I am wondering is that the best thing to do. Dave, any thoughts on revisting this topic? I think Podbean may have changed their plans to include stats on all levels except the lowest one. I don’t understand what you mean by “no way to leave”? Are you talking about: if you want to remove your audio files from the site, you can’t? Please clarify. Thanks for the overview Dave! I made the decision to go with blubrry, found a promo code on Google+ for one free month which will put a fire underneath me to get as many episodes of our show converted and uploaded. BTW I’m finding your site very helpful through this beginning of podcasting / converting all our past episodes to podcasts to expand our audience. Thanks for being a wealth of knowledge! Meaning you want to redirect your feed. you need the ability to tell iTunes, “Hey iTunes was hosted on company A, but Now my RSS feed is on company B (so redirect the feed, not the media, the media is not what itunes is looking at – it looks at the RSS – which points at the media). I came across your post listing the best podcast hosting sites and noticed that BlastPod by Podcast Blastoff was not included. Admittedly, it would have been hard for you to include as it was in production at the time of the writing. Blastpod is not just another solution built on wordpress. It was built , from the ground up by podcasters, for podcasters. Every aspect of BlastPod was built with podcasters in mind. Every tool is built to make your podcast website something to be proud of. Such a great article! I found this through a web search. What do you mean by “Podomatic hijacks your feed if you try to leave”? This is SO HELPFUL! Thank you! One thing I’ve noticed recently is that SoundCloud’s player does not play inside Facebook any longer. We had GREAT results using that option when we published our shows – our numbers more than doubled with that option. Do you know if that will change? Also is it worth it to use both – SoundCloud AND Blubrry for instance? Or does that just confuse people? Again, thank you this information is super helpful! Meaning you can’t add the code to alert iTunes that you’ve moved. The only way to enter this code is to purchase a higher package. You have to pay to leave. hello, thank you for all of your information. I am just beginning to get into the podcast world and came across the blubrry plugin, which i have set up and am quite happy with. question: the player. i have included the clammr player with the blubrry plugin, and it is the one i am happiest with as of right now. however, i cannot get an image or description to show up with it, just the player itself. i tagged the image for the sample file, via itunes, but it does not show on the site. also, unfortunately, the clammr player does not show up in the playlist,as i was informed it would not. it is a pity, makes for a bit of a work around for those who might go to the playlist to listen to podcasts but will not be able to share clips directly from the playlist. I really like the soundcloud player, and yet, the clammr feature i have is not available on soundcloud and i think it is a really good feature. so, is there anyway to spice up the clammr player with description and image? also,maybe this is only an issue because i have not uploaded a podcast to itunes yet. is that what would allow the image and description to display on my site? PowerPress does not display an image. The ID3 tags that you entered via iTunes will show up if you download the file and play it with something like Windows Media Player. PowerPress displays the player, as well as a download link, and a play in new window. You can also configure it to have subscription links. This post is more about hosting than players. They said this was available for the $9 per month option (with unlimited storage). Thought this might be new and so I wanted to share. Anyone using podbean and loving it? I’d love to throw our hat into the ring. My company Podami (http://www.podami.com/) has opened up early access to our podcast hosting platform. Our app is for all those serious about growing their podcast subscriber base with quality analytics. We’re also looking for prime beta users feedback on the application so we can really focus in on top podcasters pain points. We’d love to hear from you if this is something you’re interested in. Goto http://www.podami.com/ to get early access. Thanks for the analysis, Dave! Full disclosure, I work for Podomatic so just wanted to correct you on your review of us. We fulfill 6 out of your 7 criteria. We don’t have unlimited storage (#2) because of #6 (that’s what we charge for). Also, “hijack” one’s rss feed is a very strong and inaccurate word which does not describe our policy at all. In fact in redirecting one’s RSS feed is the #1 Help Article in our database. I should know as all redirects come my way and we honor everyone’s request to do so. You get people to sign up with a free account, but then don’t give them the ability to redirect without upgrading their account. If the idea to test your system for free, and they decide to leave, they should be allowed to leave, and take whatever fans they have acquired, with them. IMHO. LOL, no one would want it to open in a new window anymore. It is not the late 90’s. They do not offer this because the new generation hates that feature. Yes, they would much prefer to have it open in a tab instead of a pop up window. Pop up windows are just hated today when it comes to UI and for good reasons. Just stumbled upon this list, but I figured I’d toss in my hosting site into the ring. I’m on two podcasts that have been using Pinecast.com since October last year. It’s a new hosting service made specifically for podcasters. There’s free, $5 a month, and $50 a month accounts. The free accounts have no trial time limit on them but they don’t have the full extend of everything offered, meanwhile the $5 account offers a podcast homepage, analytic data, unlimited storage and you can host 3 separate podcasts under one account. The site also allows for feedback directly on the site for your podcast and incorporates a tip jar feature to allow fans to directly support shows they like. The creator of the site recently did a podcast, Podcast Fast Track, talking about it in detail. Full disclosure, I’m actually one of the guys working on the site so I’m a tad bias when I say it’s one of the best hosting sites out there. And since I’m working on it I can say there will be more updates soon that will allow you to record, upload, and edit all through the site. Definitely worth a look at to say the least. I’ve been using soundcloud for years and for the most part I love it. Thanks for publishing this. It’s very useful to me because I want to do a podcast to complement my daily blog and occasional vlog. Yet I know nothing, so the kind of basic orienteering you’re providing is invaluable. By the way, I looked up the Podbean address, and, yes, it’s basically a post office box in a business like The UPS Store. A lot of high-profile people on the Internet use these virtual addresses because they want to be able to receive traditional post from their followers, but for reasons of security they don’t want to give away their real address. And who can blame them? Podbean is a terrible, terrible host. They are very unresponsive to questions/problems, usually misread your emails or fail to respond at all, and it seems very likely they are a chinese company, or at the very least their entire line of support staff speaks English as a weak second language. They constantly misunderstood my questions or didn’t respond. Terrible support. I had problems with my feed and other problems which they were never able to address, and I eventually went to Libsyn, which has been amazing since day one. I recommend NO ONE use podbean, it was a terrible experience, and I lost 2 years of stats data when I had to move podcast hosts, and had to pay over $200 to Libsyn to transfer over all of my old files so that they would still be available on my new feed at Libsyn – not Libsyn’s fault – my fault for not starting with them in the first place. This article has come in handy several times–thanks! I wanted to let you know that Spreaker does allow you to re-direct your RSS feed. I’m going to use them for hosting (as it’s pretty affordable) and this was one of my requirements. 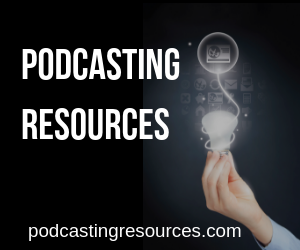 Your articles on podcasting or really clear, well-written and helpful. Thank you. But I must admit, I still don’t understand many things, and I’m launching the premiere of an audio drama in two weeks. You only mention Libsyn.com giving the ability to charge for previous podcasts. I am doing audiobooks, a dramatization (every two months or so due to amount of work) and the other weeks just narrated books (mostly public domain), so sound quality is paramount. I would be charging only for the dramatizations. Is there any reason for me to even be doing a podcast, instead of just putting them on my site and going through Audible? Will a podcast get me more exposure, or can I do the same in a different way, avoiding the podcast hosting costs? Greetings, Just a heads about Podbean. I have an account with them but am now in the process of migrating to a more dependable platform due to their bizarre behaviour lately. They have made changes these past months which could in fact be a breach of contract but I wont go there. When I tried to migrate my subscribers from my old website it seems they did away with that facility so even though they were already in the system I had to charge a minimal fee. No problem they agreed but were then refused by Podbean’s pay host Stripe Connect having also done away with Paypal a few months ago. The support is a nightmare and only responded when I went to their Facebook page. However even that tactic does not work now. I eventually got someone on the chat facility which is also rarely up and it turns out although they are listed in Delaware USA the guy was in the Philippines and admitted all he could do was pass the message on. I understand from reddit some time ago that Podbean was having some teething problems but they should have been sorted a long time ago. But when customer support is conspicuous by it’s absence I am beginning to suspect that there are deeper issues with Podbean that is not as user friendly as it claims. Meanwhile their Premium Facility simply does not work and they avoiding all contact to resolve the matter which is no good if you depend on some Premium content. I would be grateful if anyone can enlighten me as to what is going on with Podbean. Meanwhile the hunt for a decent podcast platform continues without much success. I looked at Libsyn but they take 50% of Premium. That is not for ad revenue as some think. Its for private content as well which is not on. How current/ accurate would you say this article is? Looks like it was written about 3 years ago? This is exactly the break down I was looking for, not sure if things have changed? I would say it’s still relevant. Soundcloud is in worse shape than when I originally did the article. Prices haven’t changed.